»Uncategorized»Want to know how to get revenge? Want to know how to get revenge? First let’s define the word so we know what we are getting into. 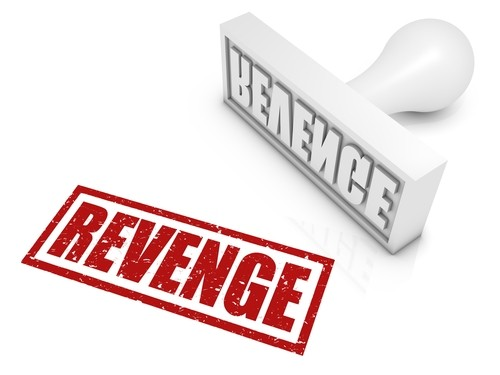 Revenge – retaliation for injuries or wrongs, especially in a resentful or vindictive spirit. Some of us are walking around with a vindictive spirit. Your way of thinking is…you do me wrong, I’mma do you wrong. You get me…I have to get you back. As God provides us opportunities, opens doors for us, resolves our problems, makes ways for us and gives us the desires of our heart, we have to be mindful that we don’t step in the way of the blessings by then doing something that goes against Gods will. Which is anything in opposition to Him. God said that vengeance is His. Meaning He will sort that out for you. You don’t have to go after that person. God sees EVERYTHING, trust He didn’t miss what they did to you. But you have to allow the time to sort it out for you. You can’t go moving ahead of Him because you think He is moving to slow. Remember that Gods timing is perfect! Just like every action we make…the 1st phase starts in our minds with a thought. So if you’re thinking of how you can get back at them, your thought is already in opposition to Gods will. In this situation, we should tell God, “I’m sorry” move that thought out of my mind. Tell God you put it in His hands and leave it alone! Sometimes you’re not even thinking about that person, but all of a sudden you just happen to find out that person is going through something or had a mishap. 1st thought is “humph that’s what they get” so now you feel the need to make it known that you know about their problem. Maybe even rub it in their face a little. That would feel good, BUT that is not of God. You have just taken the situation back into your hands to seek revenge. We are always in need of something from God….why hinder that because you want to be mean to someone. As Believers, we want to always move in a way that is pleasing to God. Take the high road, as they say. The end result will always be a benefit to you. And can I add just one more crazy thought? Pray for that person. You would be amazed at how God responds to the prayers you lift up for those who persecute you, those who aren’t good to you. Then pray for yourself. Pray for direction, pray for staying power to let God lead, and pray for more of Him and less of you. More times God won’t exactly change your situations; He will change you in your situations. Romans 12:19 ~ Dear friends, never take revenge. Leave that to the righteous anger of God. For the Scriptures say, “I will take revenge; I will pay them back,” says the LORD.